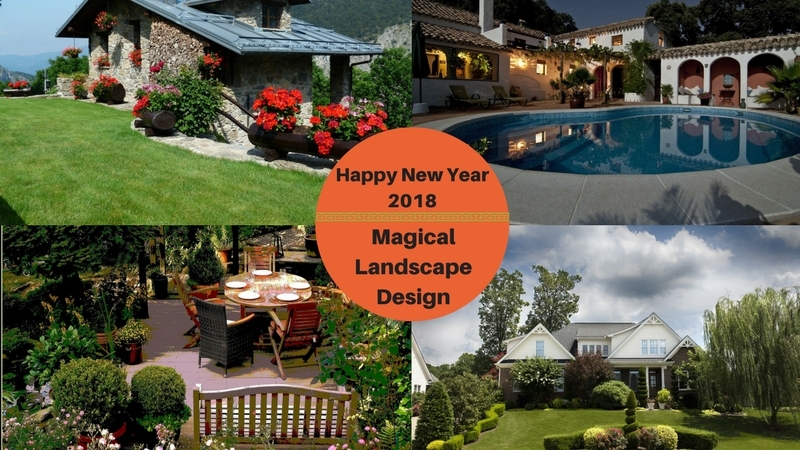 The New Year is a perfect time to refresh your landscape design, breathing new life into your property for the year ahead. Whether you want to make a couple tweaks or you’re preparing to overhaul the entire yard, the following ideas will get you started with your residential landscape designing. Many people put in a straight path through a backyard or garden without giving it a second thought. A winding path creates a more interesting aesthetic without a lot of extra work. Think about framing your path with boxwood hedges, which you can round or square off to fit the existing theme in your yard. Nothing is more inviting in a yard than a strategically placed path or archway. There are endless options from simple natural methods to detailed man made pieces. Instead of using pavers, you can use a combination of colored quarter-inched crushed rocks and natural pebbles, to highlight your pathway. Use bender boards to highlight the edges of the pathway. Selecting plants that are all the same color, height, or size quickly becomes boring. Whether you want a meticulous landscape design or a wilder feel to your yard, it will benefit from some variety. For example, vibrant lilies provide the ideal accent for ground level flowers and strawberry plants. Establishing clear sections for different purposes, such as relaxing, eating, and gardening, gives your yard more purpose. When you’re ready to relax with a glass of wine and a good book, you’ll be able to unwind fully in your little outdoor sanctuary without any distractions. This year focus on the best aspects of your existing yard and let them shine. For example, if you have a small property, embrace the intimate size and make it cozier. Or if you have great views of a nearby forest or mountains, landscape your yard so that you can enjoy them fully. This entry was posted in Landscape Design and tagged Landscape Designs for New year 2018, Magical New year Landscape Design, Magnificent Landscape Design, New Year Landscaping Ideas, residential landscape design on December 14, 2017 by Socorro González. I can’t wait to get started on my landscape renovation project! The new year has me already thinking ahead even though it’s only NYE. I’m gathering as many ideas as possible now for my idea board. Your post gave me the idea that I had before to section of my yard and I think I’m going to include a walkway too.